Now The Union Government is going to grant Rs. 70,000 as monthly fellowship to 2,000 PhD scholars across IITs and IISc in the country. Kewal Kumar Sharma, Union higher education secretary, has said this at the 67th Foundation Day function of Indian Institute of Technology (IIT) Kharagpur at its Kharagpur campus in West Midnapore district yesterday. The fellowship will be given for five years. According to Mr Sharma, under the scheme, those graduating from IITs, NITs, IIITs, if they do their Ph.Ds in IITs or IISc Bengaluru, they would be given a very "handsome fellowship" of Rs. 70,000 per month for five years. According to the list published by IIT Bombay in its official website, PhD scholars are given scholarship of Rs. 25000 p.m. for first two years now and after completion of two years of fellowship and on receipt of satisfactory report on successful presentation of Progress Seminar, the fellowships are enhanced to Rs. 28000 p.m. for remaining years (i.e. 3rd, 4th, & 5th year). There are 23 IITs in the country right now and an Indian Institute of Science, which is based on Bengaluru. In March this year, reports had emerged that, in order to further promote higher education and retain talent in the country, the Human Resources Development Ministry proposed a Rs. 75,000 per month fellowship under the Prime Minister's Research Fellowship Programme for selected PhD fellows at the IITs. Premier IITs and IISc Bengaluru always get ranked among the best educational institutes. In a ranking where universities from Singapore, China, South Korea, Hong Kong and Japan topped, Indian Institute of Science, Bangalore and Indian Institute of Technology (IIT), Bombay fared well recently in the Times Higher Education's Asia University Rankings 2017. IISc Bangalore was ranked in the 27th place while IIT Bombay secured 42nd rank. IISc Bangalore was the only university from India found its place in Times Higher Education's Best Small Universities across the globe. "As part of the research fellowship scheme of Prime Minister Narendra Modi, we wish the meritorious students who are being forced to leave the country for purely financial reasons stay within the country. "We will provide 2,000 such monthly fellowships across the IIT system and IISc Bengaluru," Mr Sharma said yesterday. "Draft scheme is ready," he added. Mr Sharma also said that the draft has gone past the Finance Ministry. "The Cabinet approval should come soon. We hope to make it possible in the next couple of months, so it can be feasible to implement in the next session," he said. "We need to provide you attractive offers so you stay within the country," he hoped. 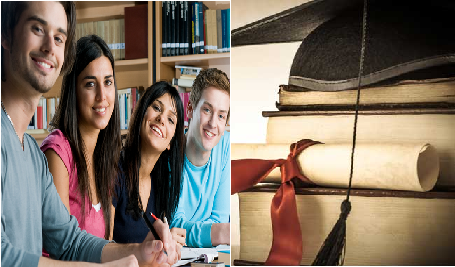 The union government has also approved a scheme to enable select educational institutions become 'Institutes of Eminence' to catapult them to the global top 100 ranking slot, the official said on Friday. "The government has approved a scheme where existing institutions will be enabled to become institutes of eminence globally... 10 in private sector and 10 public sector," Mr Sharma said in the foundation day ceremony. Under the 'Institute of Eminence' scheme, grants upto Rs. 1,000 crore have been approved over the next five years which will be given to the selected institutions to attain rank of Institute of Eminence, reported IANS. "Each institution will be called upon to submit a plan for next 10-15 years which will be placed before a committee," he said. Under the scheme, those graduating from IITs, NITs, IIITs, if they do their Ph.Ds in IITs or IISc Bengaluru, they would be given a very "handsome fellowship" of Rs. 70,000 per month for five years.